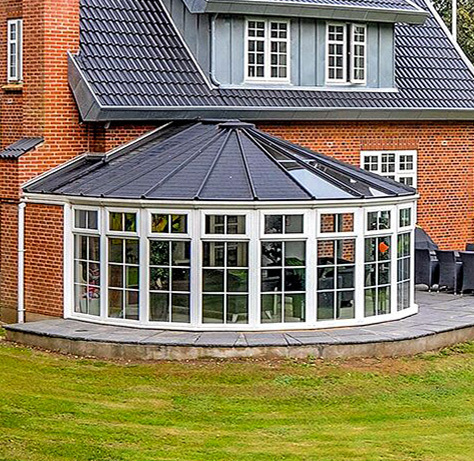 Nordic Garden Buildings create a wide range of garden buildings made from PVC-u, you may have thoughts about PVC-u and it’s impact on the environment but things have changed, and we want you to understand why. 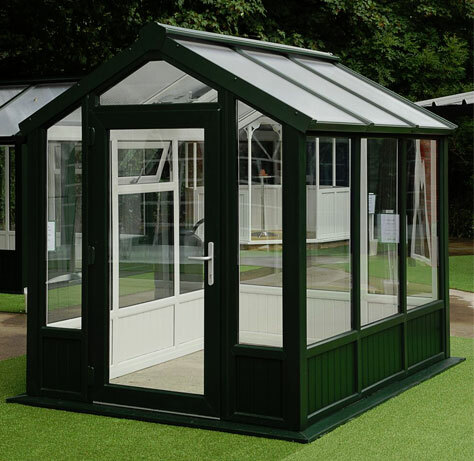 We use materials for our garden buildings supplied by a world leading manufacturer who’s recycling credentials span over 20 years. 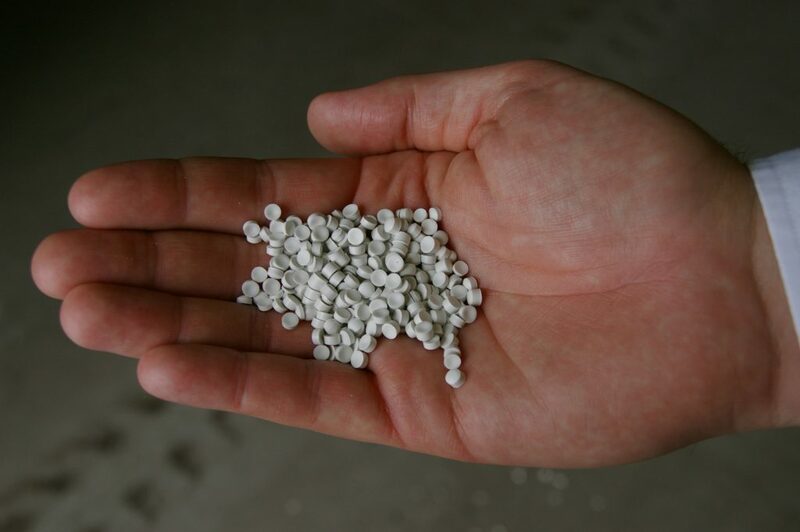 VEKA Recycling is an industry leader in recycling ‘end of life’ PVC-U products, offering a reliable, cost-effective, long-term service. 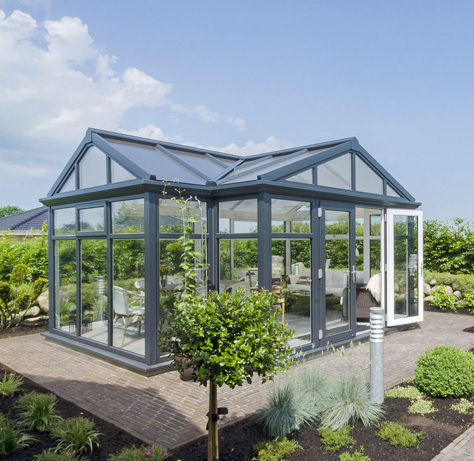 They work with window fabricators and installers, as well as waste companies throughout the UK to ensure that valuable PVC-U material is not lost to landfill. 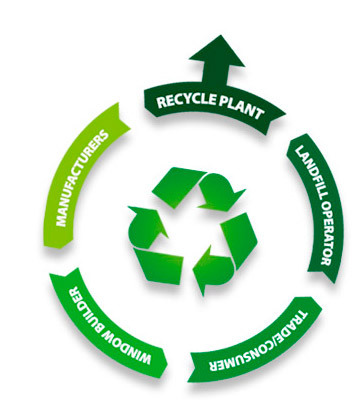 They are proud to close the loop on PVC-U recycling. 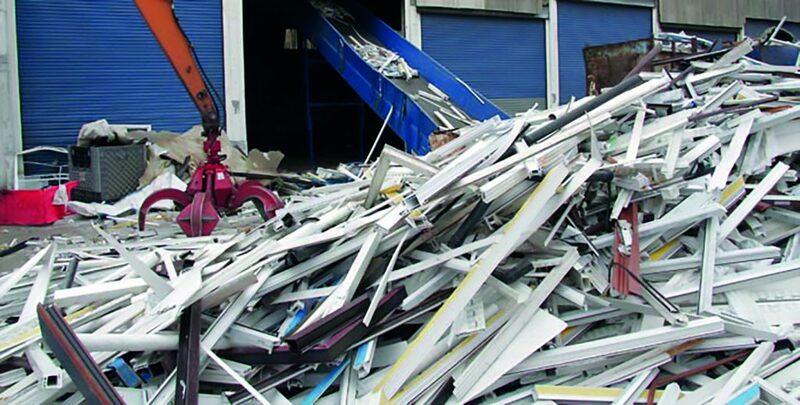 Many companies might recycle windows into lower grade products such as drain or sewer pipes, but VEKA uses processed material from old frames to create quality new frames. Considering that the average PVC-U window frame has a lifespan of around 30 or 40 years and can be recycled up to ten times – we are effectively helping create windows with a 350 year lifespan. VEKA hope to address old-fashioned prejudices about this material and help more people appreciate that its long lifespan, low maintenance and ability to be continually reincarnated – make PVC-U one of the most sustainable products currently available in the building and home improvement market. 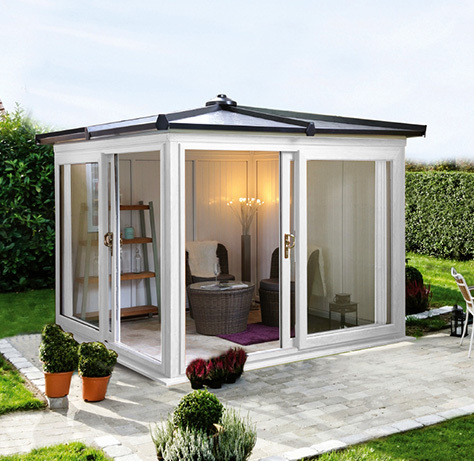 Nordic Garden Buildings offer a huge range of designs, all focused on creating an exciting living space that can be used all year round. 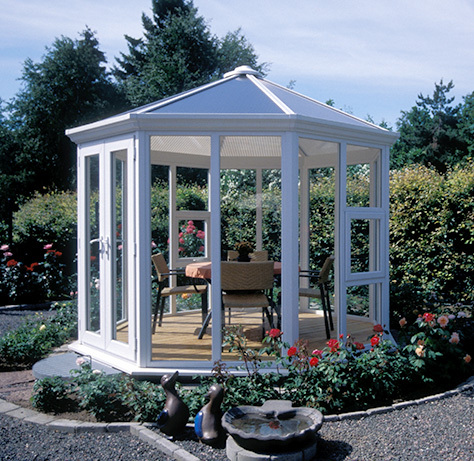 With our successful relationship with GBC Group in the UK and other companies such as Vica in Denmark, we have become the leading manufacturer for PVC-u Freestanding garden buildings across the UK and Europe.